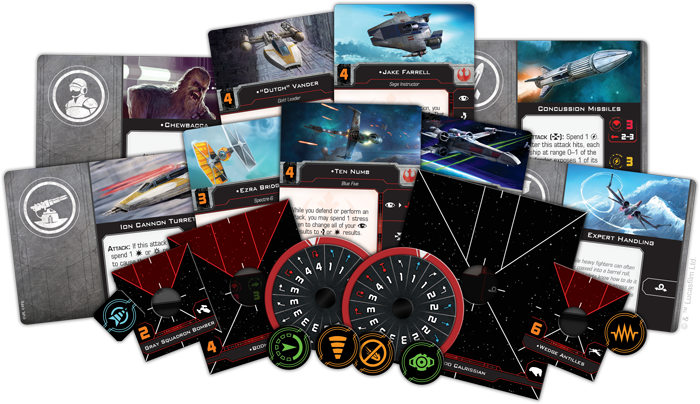 Star Wars: X-Wing is making the jump to second edition and to help veterans ease into the transition, Fantasy Flight Games has conversion packs for your old collection. We’re going through the Rebel Alliance Kit and showing all the goodies you can expect inside! This kit is designed for veterans who already have a collection of ships. You don’t need to re-buy your ships (unless you want the new version with new sculpts). Your old plastic is still valid on the tabletop. All of the cardboard, however, has changed – the cards for each ship/pilot, and every ship has new bases to slot into your old flight stands. And let’s not forget the dials – every ship has new dials too! Another big change is that some ships are also getting the new medium sized ship base. This is quite literally a half-step between the small and large base. In the conversion pack you’ll get 4 of the new stands as well as cardboard bases for the appropriate ships. 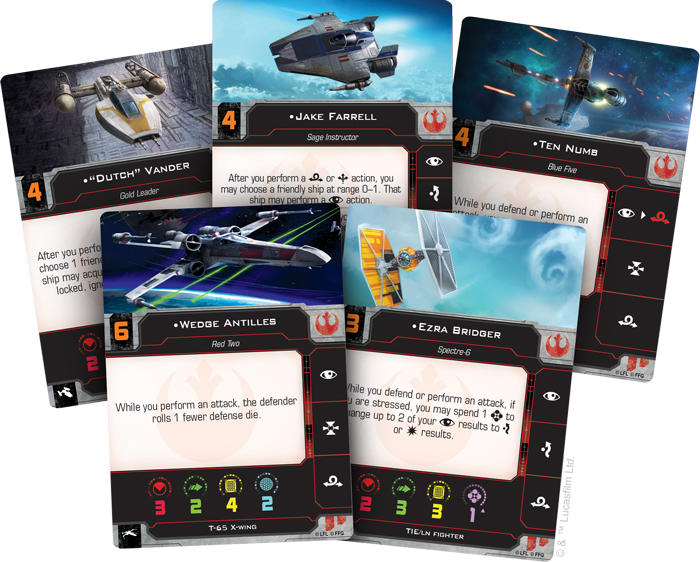 All of your favorite pilots got a look at and a refresh for 2.0 and their new cards are great. All of the upgrade cards are now larger, too. It’s pretty much a must-buy if you’re planning on continuing to play X-Wing 2.0 with your current collection of Rebel Ships. One thing to note is that the Resistance ships have been removed from the Rebellion – Sorry X-Wing T-70s, you’re in your own faction now! They don’t have a conversion pack yet…but it’s coming soon. 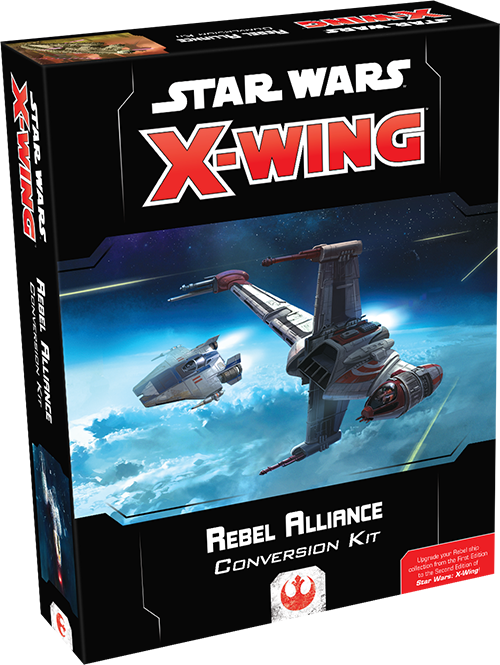 Get your Pre-orders now for your new Rebel Alliance Codex Conversion Kit!